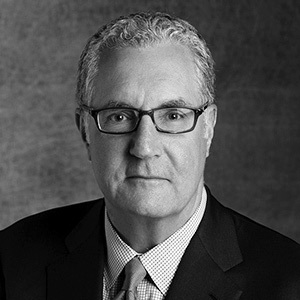 Lyle is a senior advisor on infrastructure to the President & CEO of the Council of the Great Lakes Region and is seasoned financial professional with experience and leadership across lending, derivatives, debt capital markets and corporate finance realized during his 33 career with BMO Financial Group. From 2009 to 2015 he built and led the US Public Finance and N.A. Infrastructure Capital Markets teams for BMO Capital Markets over seeing the winning of notable industry leading mandates that included Maryland Purple Line LRT, Illinois International Port District, Midtown Tunnel P3, Billy Bishop Toronto Island Airport and All Aboard Florida Rail. Lyle is a passionate and persistent advocate for infrastructure renewal in North America through infrastructure project finance and Public Private Partnerships (P3s). Illinois Governor Bruce Rauner appointed him to the board of the Illinois Finance Authority in December 2015. Lyle resides in the Chicago area and graduated from Queen’s University (BA Political Science) and York University – Schulich School of Business (MBA).